In fact, for children older than three years old, small slides will not be enough. They will need a truly big playground. It can be purchased as the full set or individual elements such as parallel bars, small playhouses and ropes. It is easy to explore the world around you when you play in the fresh air. A kid can jump, crawl, run and climb in all directions - and this not only brings genuine fun but gives a chance to develop mental and physical abilities. What are the advantages of such equipment? Such structures must first of all be safe. Manufacturers should not allow seams, sharp corners, and all joints should be properly smoothed. Children's equipment in kindergartens, summer cottages and schools should be fascinating to children, equally suitable for kids of all ages and meet their expectations. it is extremely important that the elements of the structure are such that the children can safely pass through them without getting stuck. After all, they are exploring all the details with their natural curiosity: and if they see the area which they can climb, they will do it with no doubts. In the modern market of goods for children, the best playgrounds of popular materials are represented: both natural wood and plastic. Of course, plastic structures are much easier in the production process, while at the same time they are less expensive. Our products are made of quality materials, which are put in a sophisticated design. The production specialists think over every element so that the products bring wonderful emotions to the children. You can create a fascinating place that will become a true entertainment centre for your children, as well as for kids from all the district. Everyone who comes to visit you at home or at your summer cottage will join the joyful adventures. Goods from the online store are characterized by effective fasteners, therefore are considered safer and optimal in use. Therefore, if you want the kids to spend educational fun time in the fresh air and play with friends at the same time, it's worth thinking of reliable equipment. 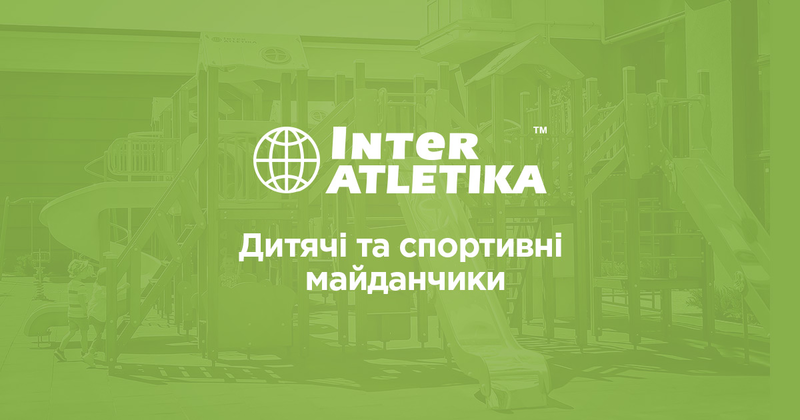 The children's equipment by InterAtletika has an affordable price and helps the children to develop harmoniously. In our online store, there are options for different directions. In the catalogue, there are compact models as well as large structures, which are also suitable for big areas and small rooms. With us, you will get an opportunity to purchase a playground for a kindergarten, a country house or a schoolyard at a price from the manufacturer.